The 10×42 Legend Ultra HD Monocular (Black) from Bushnell delivers exceptional field performance with bright, razor-sharp imagery and a compact, waterproof design that succeeds in the most challenging conditions. The ED Prime Extra Low Dispersion glass, fully multi-coated optics and premium BAK4 prisms capture the visual moment with vivid clarity and contrast, even in low-light conditions. Stacked lenses are protected by the ultra-effective Rainguard HD hydrophobic coating for the clearest view possible in foul weather or even condensation from breath. The housing is fully sealed, and purged with bone-dry nitrogen to ensure all-weather performance. Regardless of the climate; the optic’s internal mechanism is well protected from the negative effects of moisture. ED Prime Extra-Low Dispersion fluorite glass delivers superb color resolution and contrast, and practically eliminates chromatic aberration and color-fringing to bring out the details in low-light conditions. The patented Rainguard HD is a permanent, water-repellent coating that causes moisture from rain, snow, sleet or condensation to bead up, scattering less light, and delivering a clear, bright view. The built-in Picatinny rail accepts a wide range of accessories. 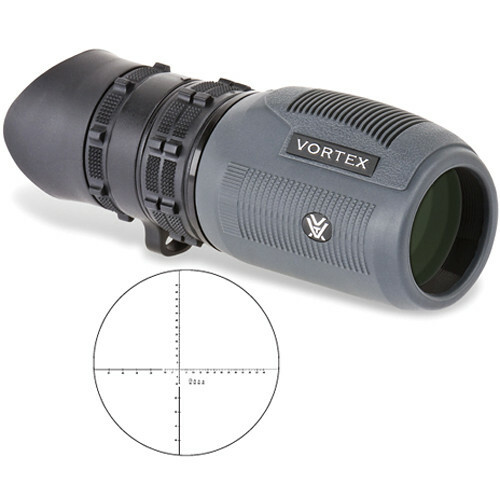 The Solo Tactical R/T 8×36 Monocular from Vortex offers a wide 393 foot field of view that is bright, crisp, and clear. 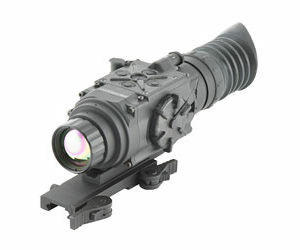 Designed as a take-along-everywhere optic, the Solo Tactical R/T 8×36 is compact and easy-to-handle. 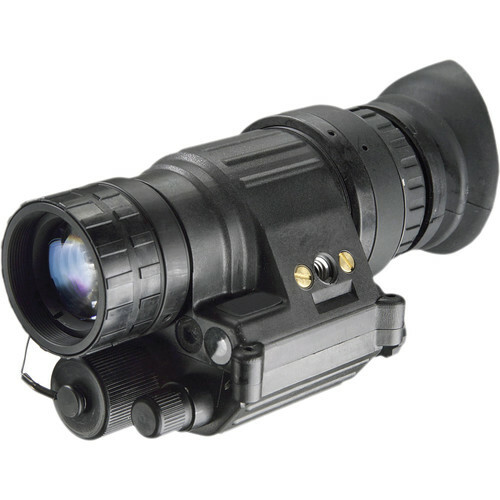 This monocular comes with an R/T ranging reticle for precise target range estimation. It features mrad (milliradian)-based subtensions and includes a secondary quick-ranging system with silhouettes. These angular measurements allow the user to calculate ranges when comparing the reticle to objects of known dimension. 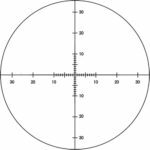 The reticle focus ensures a sharp reticle image at all distances. The Solo's optical system features a premium roof prism and fully multicoated lenses. The rugged housing is waterproof, fogproof, and covered with a protective rubber armoring. A utility clip allows the monocular to be attached to a belt, strap, or webbing with ease. The 6×22 GX-4i2 Laser Rangefinder from Leupold combines a Class 1 eye-safe IR laser with a useful multicoated monocular to create an effective and waterproof tool for any golf outing. The GX-4i2 has multiple proprietary systems to improve your game and accurately get you to the pin. Tools such as the Digitally eNhanced Accuracy (DNA) engine, PinHunter2, Prism Lock and Fog Mode all help to ensure that you sight the correct target and get an accurate range. The PinHunter2 and Prism Lock systems have upgraded hardware and software for faster detection and acquisition with greater range and precision. The GX-4i2 comes with Leupold's True Golf Range (TGR) and Club Selector systems. TGR uses the range from DNA, a built-in inclinometer, and the temperature and altitude, to give an adjusted the range taking the distance and shot angle into account. Club Selector takes the TGR information, and your striking strength and recommends appropriate clubs. The quick-set menu provides fast and easy one-handed access to all of the GX-4i2 features and options. 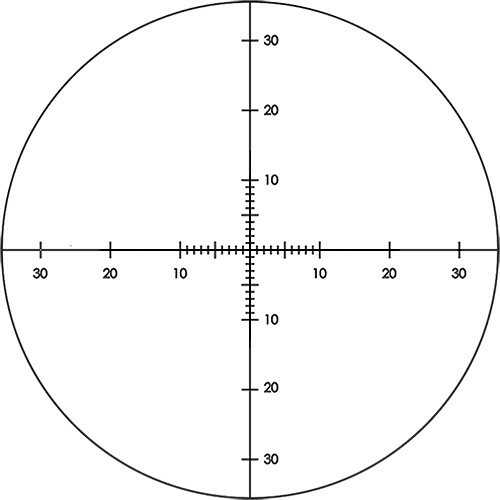 Select one of three reticle patterns that fit your references or the situation. A spot mode lets you range to a stationary target, and the continuous-scan mode allows you to track moving targets. Choose to have distances displayed in yards or meters. The battery status indicator continuously shows the available power, while an auto power-off feature conserves it. The bright yellow Smart Key locking face plate allows the inclinometer, TRG and Club Selector to be used only when attached; otherwise these features will be disabled. This is useful if the course, or people you are playing with, prohibit their use. The bright yellow color makes it instantly known if it's being used or not. 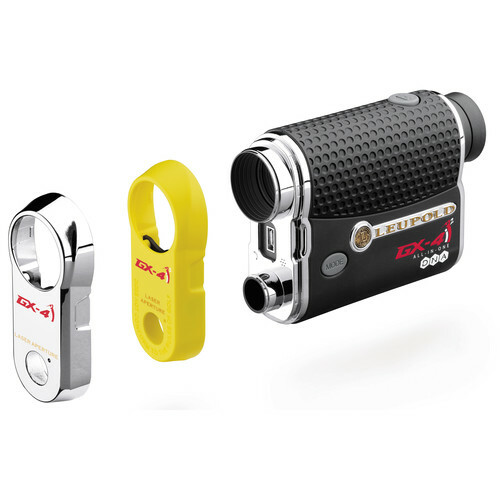 With the Smart Key in place, the rangefinder is USGA legal under section 14-3. An Organic LED provides clear and bright images by reflecting the display information into the optical path. Projecting the information eliminates LCD display films often used in rangefinders that can interfere with light transmission, which reduces image brightness. When using the GX-4i2 as a traditional monocular, with the display turned off, the OLED will not affect the views, unlike traditional display films. Engineered for armed forces and law enforcement personnel, the PVS-14 2nd Gen High Definition Night Vision Monocular from Armasight is a versatile, compact and rugged night vision device that can be used handheld, mounted to a helmet, weapon, or worn with the included headgear. 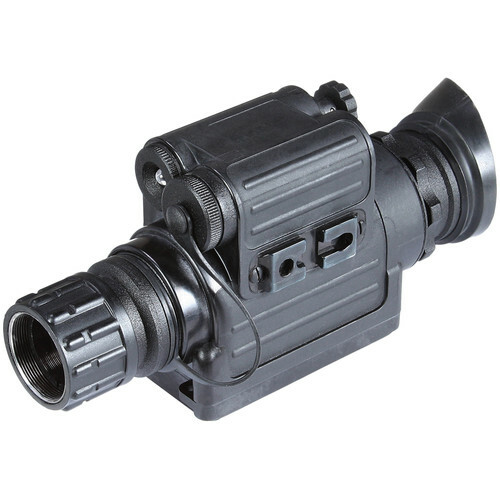 The Armasight second generation intensifier tube technology incorporates a microchannel plate, multialkali photocathode, built-in power supply, and 18 mm format screen, which improve reliability, image brightness, and quality compared to first generation devices. The High Definition (HD) feature produces green images and has a resolution of 55-72 lp/mm. With a manual gain control, you can adjust image brightness and detail when passing through environments with a varying ambient infrared illumination. If there is not enough natural infrared and your targets appear too dark and with little detail, the built-in infrared illuminator will provide additional illumination and help improve visibility even in complete darkness. The 1x optical system offers a wide angular field of view and a 0.8' minimum focus distance. Additionally, the device has an auto shut-off function, infrared indicator, and a low battery indicator. The housing is waterproof, lightweight, durable, and provides protection from adverse conditions and extreme temperatures. It is contoured and has ergonomic controls, knurled adjustment rings, and wide rubberized winged eyecups. Empowered by the Ceramic Optical Ruggedized Engine Technology (CORE), the Spark CORE Multi-Purpose Night Vision Monocular from Armasight is one of a few 1st generation night vision monoculars to boast 60-70 lp/mm resolution with minimal edge-to-edge image distortion. 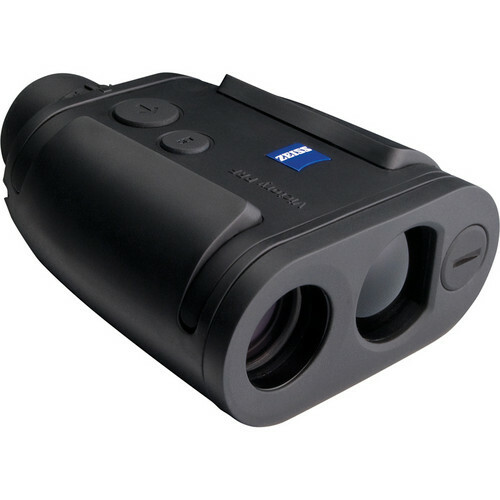 This device combines optimal performance characteristics with versatility: 1x magnification, 30° angular field of view, 0.82' minimum focus distance, and an 8 mm exit pupil. If you need to see farther or pick up more detail, the magnification can be upgraded to 3x with an optional objective lens. The monocular can be used as both a handheld device or it can be mounted on a weapon, helmet, or a headgear. 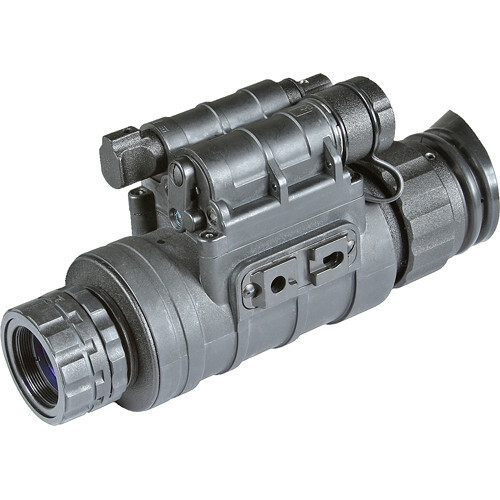 To allow you seeing distant targets at night or to make observations in total darkness, the device features a built-in 50 mW infrared illuminator with a focusing lens. The water-resistant housing is lightweight and durable. It offers contoured armoring for a slip-free grip and large knurled adjustment rings for easy tuning even when wearing gloves. Additional highlights are two Picatinny style points for attaching additional accessories like flashlights or lasers. The wide winged eyecup minimizes leakage of green light and provides comfortable skin contact. Also included are lens tissue, a soft carry bag, one CR-123A battery, and a tethered objective lens cap. The Armasight Sirius GEN 2+ SD MG Multi-Purpose Night-Vision Monocular features manual brightness control, bright light shut-off circuitry, and a spot / flood built-in IR illuminator. 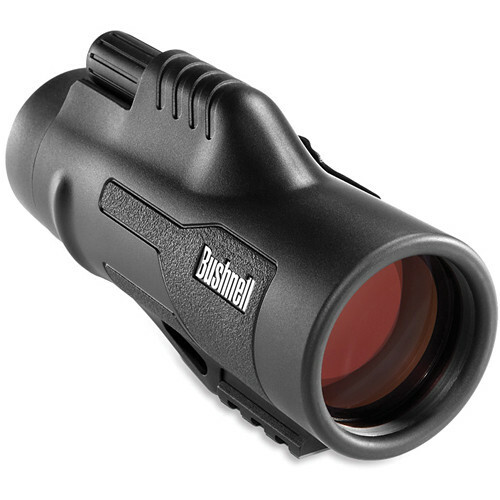 This durable and versatile monocular can be used as a hand-held device, or head/helmet mounted. It can also be mounted onto a rifle with a variety of different mounts, or in front of a camcorder or camera for night photography. Add the optional 3, 5 or 8x lenses (sold separately) to turn the monocular into a long range night viewing device. The monocular is suitable for professional or casual night vision users alike. Note: Export of this device described herein is strictly prohibited without a valid export license issued by the U.S. Department of State Office of Defense Trade Controls, as prescribed in the International Traffic in Arms Regulation (ITAR), Title 22, Code of Federal Regulation, Parts 120-130, and/or the U.S. Department of Commerce. For further information contact the Office of Defense Trade Controls and/or the U.S. Department of Commerce. 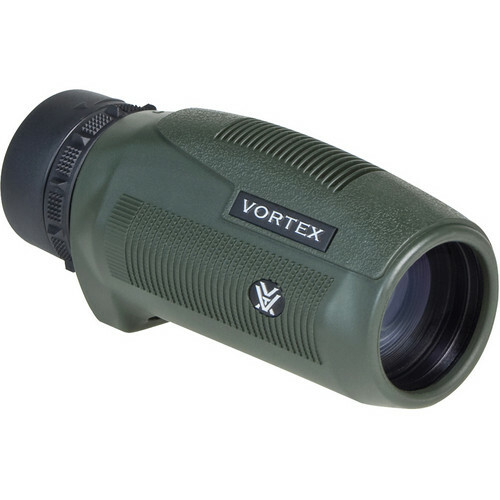 The Solo 10×36 Monocular from Vortex offers crisp clear viewing at a moment's notice. Designed as a take-along-everywhere optic, the Solo 10×36 is a compact and easy-to-handle viewer. The optical system features a premium roof prism and fully multicoated lenses. The rugged housing is waterproof, fogproof, and covered with a protective rubber armoring. An integral carry clip allows the monocular to be attached to a belt, strap, or webbing with ease.